I just found out about this brand. It is from Germany. It is Bavarian Crono - The Instrument Watches. 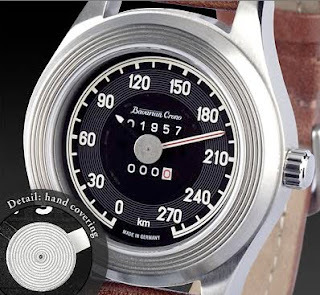 The watches designed by Bavarian Crono is unique in that the watches all have dials that are based on the actual speedometers of classic cars. The design are adapted from cars from Mercedes, Jaguar and Volkswagen. Mercedes 190 SL. 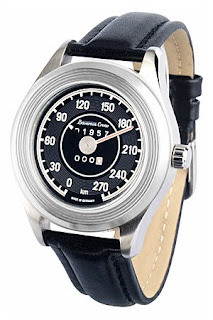 This watch is based on the speedometer of the Mercedes-Benz 190 SL. The car was introduced in 1955. I understand the dial is a faithful reproduction, miniaturised, of the speedometer. 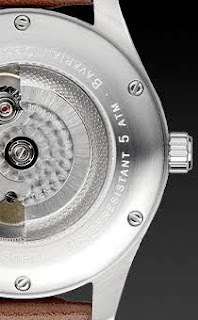 As can be seen from the photograph below, the watch is unique. The year the car was introduced is displayed on the dial. Case: Stainless steel, 42 mm diameter, 12.6 mm thick, lug width 20 mm. The other unique aspect of the product offering is the packaging. The watches (not all) comes in a presentation case that is made to look like the actual piston used in the car the watch represent. 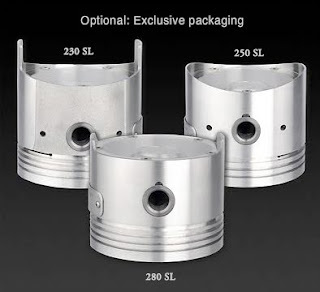 The piston is made of Aluminum and weighs 0.9 kilograms. I have been to understand that this presentation case is an option and does not come standard.